time she seemed a lot more mellow and everything was better,” Bob Johnson said. hopped in Bob Johnson’s car with 8-month-old Gabriel and headed to Texas. mother, who allegedly told Loagn McQueary, her ex-boyfriend, that she’d killed their baby. granddaughter, Elizabeth, has always been secretive. you to know something, you ain’t gonna find out,” Johnson said. seemed a lot more mellow and everything was better,” Bob Johnson said. Johnson’s car with 8-month-old Gabriel and headed to Texas. told Loagn McQueary, her ex-boyfriend, that she’d killed their baby. custodial interference after she didn’t show up for a custodial hearing. 5, Elizabeth Johnson said she simply gave Gabriel to a couple she met in a park. Elizabeth Johnson on the phone from jail. buy it. He tried to envision her scenario. Elizabeth Johnson posing with the boy’s father, Logan McQueary. eventually got the best of her. to think about it because, what a waste. What a waste,” said Bob Johnson. OCEANA COUNTY — Dale Fessenden says his son, who was found dead June 25 in an Oceana County pond, will be remembered as a caring person who always put others first. His son, Roger Dale Fessenden, 40, of Rothbury suffered a back injury at work earlier this year when he fell 20 feet while cleaning a storage tank. He underwent back surgery in February, family members said. Roger Fessenden was reported missing June 23 and was found dead two days later in a pond known by locals as Oceana Lake in Grant Township. Dale Fessenden said his son often had a difficult time sleeping because of back pain. He said Roger would take prescription sleeping pills and then go for drives in his car. He suspects the sleeping pills affected his son’s judgment. On the night he went missing, Roger Fessenden likely took sleeping pills before venturing out, his father said. Fessenden disputes reports that his son was taking multiple prescription drugs. He said his son recently went off anti-depressants. Family members said they want Roger Fessenden to be remembered as someone with a generous heart. Dale Fessenden said his son once went shopping for a stranger in the hospital — just because he wanted to help. Oceana County Sheriff Bob Farber said a toxicology report is pending in the investigation into Roger Fessenden’s death. The report could return from the lab in the next two weeks. But in the meantime, the county coroner has ruled the cause of death as drowning. It remains unclear how Fessenden ended up in the pond. Fessenden, a longtime resident of Ferry, is survived by his wife, Blanco Suarez, two stepchildren and his parents. I was having bouts of depression from work stresses and general work unhappiness, so my doctor put me on Zoloft. At first, I felt no immediate changes, but about 1 month into treatment, I began wanting to sleep all day. On my days off, I would wake up at 2pm, flop in the couch and nap the rest of the daylight hours away, wake up for an hour or so and back to bed. I would not leave my house, refused to see friends, refused to answer the phone, even quit going to the gym. My doctor decided the med was not working so he upped my dose to 100mg. Wow!! That really messed me up. I then began suffering gaps in my memory, that started out tiny and insignificant, and grew to be huge and troublesome problems. At the height of this forgetfulness, I missed 3 house payments and 3 car payments!!!! I had never missed a payment in my life….I may have been a couple of days late on a couple of occasions, but never blatantly just missed!! I looked at my check book and could not tell that I had not made the payments. I was so confused and could not focus on anything for very long. I also began having panic attacks and horrible sweating attacks. I would panic and break out in a horrible sweat….to the point that my hair and clothes would be soaked in a matter of a few minutes. I was especially intolerant of heat of any sort. I took a trip to the Caribbean and felt like clawing my skin off the entire trip, just to escape the heat. But people around me were wearing light sweaters!!! It was horrible. Then I developed insomnia and nightmares. When I would drift to sleep, I’d awaken to terrifying nightmares, that would leave me weak and shaking. I also started having strange heart palpitations and twinges of chest pain. Oh! and headaches that were unbearable. I tapered myself off and immediately began having the most horrific dizzy spells that you can imagine. As long as I didn’t move my head, I was okay, but if I just slightly moved, the room would spin uncontrollably. So much so, that I found myself gripping the walls to stay upright. Then massive, deep sorrowful depression set in. I think I slept for the next 6 months, except when I was at work. I don’t know how I functioned at work, but I managed. During this Zoloft fiasco that lasted over 1 yr, I gained 10 lbs, developed that “fat neck syndrome” and managed to run off my boyfriend. The sad part of all this is that I am a pharmacist!!!! This is Survivor Story number 6. I have suffered from chronic depression for a number of years, and have tried various antidepressant medications while under the care of psychiatrists, but none of these drugs seemed to have any positive effect on my condition. However, at the beginning of this year, I thought I would give therapy another try. Unfortunately, my medical insurance would not cover psychiatric visits, so I had to be content with seeing a family practice physician. When I asked for a referral for therapy, he said, “No. How about some pills?” He later confided to me that he didn’t believe that my insurance would cover therapy by a mental healthcare professional. He first started me on a regimen of Paxil. But after experiencing very uncomfortable side effects, including insomnia, he also prescribed Remeron for sleep. The first time I took Remeron was on a Friday. I slept for at least 12 hours. When I got out of bed and tried to walk, I was wobbly on my feet, and had to brace myself against a wall to prevent falling. I tried calling my doctor, but he was not available that weekend. It took until Sunday evening before the effects of Remeron wore off. When I finally did get to talk with my doctor, I was ready to quit the Paxil regimen, but he convinced me to stay on the drug, explaining that it takes time for it to build up to a useful level before any benefits could be weighed. I continued to take the Paxil, but stayed away from Remeron as a sleeping aid. During this time, I experienced bouts of sleep deprivation, increased anxiety, panic attacks, and an unusual level of anger and hostility. I have been the caretaker of my mother and aunt for about 10 years since the untimely death of my father in 1988. My mother is 81 years old, and suffers from forgetfulness, along with other symptoms associated with her advanced age. We have a rather large piece of property on a dead-end street. It is a full-time job just keeping it neat and clean. The rest of my time is devoted to taking my only two remaining relatives shopping and to medical appointments. I am under a great deal of stress nearly every day. I have had disputes with neighbors and their children, vandalism, malicious mischief, littering, and very suspicious activity on the dead-end street where we live. I have also found used condoms and parts of hypodermic needles lying on the ground. As I mentioned before, I live on a street with no other houses facing us, so it is very odd to see anyone parking there. I have reported incidences of unusual activity to local police, but they often do not show up to investigate. On the evening of Easter Sunday, 2001, and just after midnight, I heard unusual noises outside of my home. Since it was not Independence Day or New Year’s Eve, noises on the night of Easter Sunday were not expected –especially after midnight. By the time I got out of bed to investigate, I saw three cars parked on the street with no one nearby. I went back to bed, but this time heard the screeching of tires. I jumped up and looked out the window just in time to see a car speed away from an accumulation of trash at the end of the street. I telephone police, but was told that they do not investigate incidents of littering. I hung up, but later called back to report the noise, which was a booming speaker from one of the cars parked outside. The police dispatcher said he would send a patrol car to investigate, but I saw no evidence of any police activity outside of my house. By this time I, was becoming increasingly agitated. Out of frustration, and the lack of police response, I composed a hand bill on my computer, stating that I did not appreciate anyone disturbing the peace, littering, or any other illegal activity while parked in front of my home, and that I was prepared to make a note of the license plates of any cars that I thought looked suspicious. I then went outside and placed a handbill on the windshield of each of the cars, after which I went back to bed and tried to get some rest. Just then, four people, who I believed to be in their late teens or early 20s, came running at me yelling obscenities. 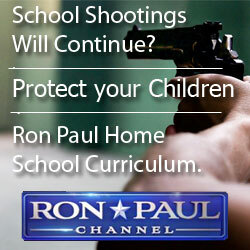 I didn’t have time to retreat into the house, so all I could do was to raise the gun in self-defense. One never knows what to expect when picking up a weapon. I could have killed this individual, but fortunately I did have the presence of mind to try to diffuse this very lethal situation before it could become fatal. When the crowd dispersed, I went back into the house and called 911 to report what had happened. Apparently, some of the others involved in the dispute had called the police and reported that I had a gun. It was at this time that I became panicky. I locked the trigger guard back on the handgun and put it in a drawer. I was very disoriented. The police arrived and wanted me to come outside. I finally persuaded officers that I was not armed and dangerous, and invited them into the house. I was searched and asked to sit down. I told them that I had guns in the house, and described exactly where I kept them. One officer found two guns and confiscated them. They talked with me for a long time, asked me to write out a statement, then left without arresting me. Four weeks went by before I received a letter from the county district attorney, advising me that I was being charged with California Penal Code Section 417(a), a misdemeanor, stating that I had used a gun in a quarrel or argument. The sentence for this violation is 3 months in jail. I was also told that the “witnesses” identified one of the guns. During this time, I went from Paxil to Flurazepam, then to Zoloft, then to Effexor, then to Atenolol, and finally to Celexa, along with Klonapin for anxiety. I was prescribed these drugs, one after the other, without any period of detoxification. I finally made the effort to seek out a therapist (a clinical psychologist with a Ph.D.), who has been very helpful and supportive. I trust her, but unfortunately she believes that I need to be medicated.. And all along, I still could not find a psychiatrist who would be willing to manage my medication. I stopped seeing the original family practitioner, and found a new internist who has been trying to help with these medications.. I would also like to say, for the record, that I have no history of violence or any criminal record. I haven’t even had a traffic ticket in over 3 years. But the prosecution would not let this matter rest. Since I couldn’t afford a high-priced criminal defense attorney, I had to put my trust in a public defender. Unfortunately, they are overworked and understaffed, so the quality of the defense was less than adequate. My case was postponed for 7 months. When it did finally come to trial, the best deal I could get was to plead “no contest” and the judge would recommend electronic home confinement. A “no contest” plea is essentially a plea of guilty, but I chose to accept it only because I wanted this nightmare to be over. When I left the courthouse that day, I was under the impression that the electronic home confinement was a sure thing. They give me the wrong paperwork; and since it was late on a Friday, I couldn’t call the probation department until the following Monday. That was when I found out that it up to the discretion of the probation department as to whether or not I will be accepted into the program. The only other alternative is jail. I did a great deal of my own case preparation. I researched the often-horrible side effects of Paxil and other SSRI drugs using the Internet and the World Wide Web, and found evidence of much worse occurrences connected with the use of these drugs. 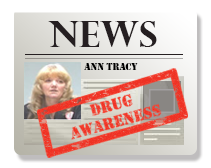 Dr. Ann Blake Tracy of the International Coalition For Drug Awareness has provided a great service by virtue of her very informative Web page, which is devoted to the horror stories of those of us who were prescribed SSRI medications for depression and anxiety. In closing, the only comfort I can take from my experience is that no one was fatally injured. But the constant nightmares and the stress of what happened to me while on Paxil will never go away, no matter what method of incarceration I must face. This is Survivor Story number 30. 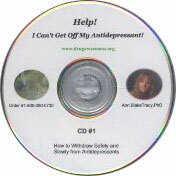 Ann Blake-Tracy has specialized for 10 years in adverse reactions to serotonergic medications. She is the executive director of the International Coalition for Drug Awareness (www.drugawareness.org) and author of the book PROZAC:PANACEA OR PANDORA? Note: Keep in mind that these drugs are all serotonergic agents and clones or “copy cat” drugs of Prozac – the first SSRI antidepressant introduced to the market in America. Basically what applies to one, applies to the others. For instance we have more data out on Prozac because it has been around longer, but as the mode of action is the same for all of these meds the effects will be the same for the other drugs on this list as it is for Prozac. If we are discussing one drug, similar effects would be expected from any other company’s version of the drug. In fact it would be more honest to give them the titles of Prozac #1, Prozac #2,Prozac #3, etc. rather than the brand names they have been given, from the second clone, Zoloft, to the latest Prozac clone, Celexa. My concern is that each new SSRI introduced seems to be a little stronger on serotonin reuptake and therefore potentially more dangerous. And the all too common practice of going from one SSRI to another blocks additional receptors and magnifies the harmful effects of these medications. It is crucial to learn that according to medical research the theory behind this group of drugs is invalid. Known as serotonin reuptake inhibitors. They are designed to block serotonin in the brain, thereby increasing brain levels of this neurotransmitter. Yet for three decades researchers have been intensely interested in serotonin because LSD and PCP produce their psychedelic effects by mimicking serotonin. Elevated serotonin is found in: psychosis or schizophrenia, mood disorders, organic brain disease, mental retardation, autism and Alzheimer’s. While low levels of the metabolism of serotonin (which also produces high serotonin), are found in those with: depression, anxiety, suicide, violence, arson, substance abuse, insomnia, violent nightmares, impulsive behavior, reckless driving, exhibitionism, hostility, argumentative behavior, etc. The drugs increase serotonin and decrease the metabolism of serotonin leading to any and all of the above results. This information is extremely crucial for patients and physicians to learn as soon as possible. We have a high rate of use of these drugs nationwide. Raising serotonin and lowering the metabolism of serotonin in such a large number of people can produce very serious, widespread and long term problems for all of society. So why are we now in the 90’s being told that increased serotonin is good for us? Is it because it is good for the pocketbooks of the manufacturers? One manufacturer is running full page newspaper and magazine ads and half hour TV infomercials to bring in over $7 million daily, while on the other hand they are settling Prozac suicide cases for huge amounts of money in exchange for silence from victim’s families on the details of those settlements. The silence in the court cases insures that the drug will be allowed to finish out its patent time, thus bringing in the highest possible profits for the company. They know that with $7 million coming in daily, they can afford to settle a large number of lawsuits and still come out “smelling like a rose” financially. (see time line for details). 27. Larry Butz, a superintendent of schools in Ames, IA shot his wife, son and daughter before shooting himself – many cases pending in court are not mentioned. This is only a handful of MANY, MANY more cases – there would not be room for anything else if I continued listing the cases. The latest figures show Prozac has about 44,000 adverse reports filed with the FDA. Out of those reports there are about 2,500 deaths with the large majority of them linked to suicide or violence. * Mid 1950’s: Dr. Felix Sulman began his research on those who suffer from high serotonin levels because of an inability to metabolize serotonin. He found that serotonin is a stress neuro-hormone leading even rabbits, the most docile of creatures, to be aggressive. He coined the term “serotonin irritation syndrome.” He found that those who were unable to break down serotonin would have the levels increase. They were in effect being poisoned by the serotonin produced by their own bodies, the irritation victims suffered from migraines, hot flashes, irritability, sleeplessness, pains around the heart, difficulty in breathing, a worsening of bronchial complaints, irrational tension and anxiety. . . horrifying nightmares. It also caused his volunteers to sleep badly – that is, always on the edge of consciousness so that they were not properly rested – and to wake after only a few hours of sleep.” (sleep apnea) He also found it caused pregnant women to abort. * July 31, 1978: [PZ1061 1025-28, July 31, 1978] Human subjects began to be used by Lilly in controlled clinical trials. The first group of patients showed no improvement in their depression, but there were a “large number of reports of adverse reactions.” The first human to receive Prozac experienced “dystonia resembling an extrapyramidal reaction” – an uncontrollable, Parkinson-like shaking or trembling. * August 3, 1979: The clinical trials excluded patients who had serious suicidal risk. [E.g. control #001519, IND Protocol No. 14, August 3, 1979; PZ1135 695, July 2, 1986 memorandum of Dr. Wernicke]. * December 17, 1984: [PZ 65 449, report of Lilly to FDA] Lilly reported to the FDA that benzodiazepines and other sedatives were given with Prozac throughout the clinical trials. This was to help offset the stimulant effect of the drug. In a memorandum of Lilly scientist Charles Beasley [PZ 541 2007-08] issues of “agitation vs. sedation” and concomitant sedative medications like benzodiazepines (to control the agitation) are discussed. Concerns are that agitation in a suicidal patient can induce suicide. * September 14, 1990: Contrary to the advice of his staff, Dr. Thompson told the Eli Lilly Board of Directors that suicide and hostile acts were probably, caused by the patients’ underlying disorders rather than Prozac. [PZ542 2101, September 14, 1990; PZ4002 889, Board Minutes]. The staff was concerned because they knew that this issue was never studied during the clinical trials. * July 1, 1992: A study lead by Dr. Lorne Brandes of the Manatoba Institute of Cell Biology in Winnipeg, Canada was published in CANCER RESEARCH linking the two most popular anti-depressants, Elavil and Prozac to cancer. * 1994: A study headed by Howard Markell published in The Journal of Pediatrics showed LSD flashbacks and LSD reactions induced by Prozac. * June 9, 1994: The New York Review of Books article by Dr. Sherwin Nuland slams Peter Kramer for pushing Prozac in his book Listening to Prozac. He pointed out that all docs are taught in med school this little poem about serotonin: “This man was addicted to moanin’, confusion, edema, and groanin’, intestinal rushes, great tricolored blushes, and died from too much serotonin.” He listed constriction of lungs and intestines, diarrhea, wheezing, flushing, mental confusion, tightening of bronchioles, and lessening conscious control over behavior from increases in serotonin. “Moreover, . . . it is still too early to arrive at a reliable estimate of possible dangers that may appear in the long term,” and 15% dropped out of the clinical trials on Prozac because of adverse reactions. He also discussed the similarity of serotonin to the psychedelics like LSD and PCP. They found this to be especially true for those who have a history of alcoholism. An increase serotonin in turn increases noradrenalin. Numerous reports have been made by reformed alcoholics who are being “driven” to alcohol again after being prescribed a serotonergic drug. And many other patients who had no previous history of alcoholism have continued to report an “overwhelming compulsion” to drink while using these drugs. #1 A young woman, a recovering alcoholic, reported that during the eight month period she had been using Prozac she found it necessary to attend AA meetings every day in order to fight off the strong compulsions to begin drinking again. #2 In the Southeastern United States a middle aged psychologist, also a recovering alcoholic, after being prescribed Prozac, found herself needing to attend AA meetings morning, noon, and night to keep from destroying the sobriety she had achieved. #3 A young father, who was Mormon and had never before in his life used alcohol, found himself drinking Ever Clear and exhibiting bizarre as well as violent behavior, after being prescribed Prozac and Ritalin. #4 A young mother who had never used alcohol before began drinking large amounts within weeks of being prescribed Prozac and quickly found herself committed to a mental institution due to the psychotic behavior that resulted. Added to her Prozac prescription were anti-psychotic meds and electric shock treatments. She then began to experience seizures and was started on anti-seizure meds. #5 A concerned neighbor reported her friend was drinking straight Vodka on a regular basis after being prescribed Zoloft. #6 A daughter reported her father, sober for 15 years, began drinking again on Prozac. * December, 1994: Not guilty verdict on Wesbecker wrongful death suit against Lilly’s Prozac. * May, 1995: Judge John Potter who presided over the Wesbecker case filed documents to demand that Lilly be forced to disclose the secret deal they made with the plaintiffs to withhold very damaging evidence in exchange for settlement. In his pleading to the court Potter stated, “Lilly sought to buy not just the verdict, but the court’s judgment as well.” Potter accused Lilly of “giving the verdict the widest possible publicity” accompanied by the claim that Lilly had “proven in a court of law that Prozac was safe.” Furious with Lilly’s attempt to turn his courtroom into an advertising agency for Prozac, he claims his motion reflects “the court’s duty to protect the integrity of the judicial system.” He believes, as do prominent legal ethicists, that a full and open disclosure of the terms of the settlement is a necessary public safety issue. * July, 1997: Mayo Clinic found that the increased serotonin, which produces blood clotting, was causing a gummy glossy substance to build up on heart valves. Dr. Heidi Connolly with the Divisions of Cardiovascular Diseases and Internal Medicine, who headed the study stated, “We do know that fenfluramine and phentermine [Fen-Phen] alter the way the brain chemical serotonin is metabolized, and serotonin that circulates in the blood can cause valve injury.” Fenfluramine produces a rapid release of serotonin, inhibits serotonin reuptake, and may also have receptor agonist activity. The study’s revelations should send a loud and very clear warning throughout the medical community concerning all serotonergic medications. * August 25, 1997: Letter to Ann Blake-Tracy, “I caught the last part of your presentation on Radio Station KEX, Portland, while flipping through the dial last night. I was flabbergasted to hear you speak of the horrible potential side effects from Prozac, which I have been taking for approximately four years, particularly since I have been diagnosed recently with cardiomyalgia, severe artery disease, congestive heart failure and also Fibromyalgia. (I was a very “well” person prior to taking the Prozac and am now exhausted all the time, with horrible aching joints and considerable pain and a massive heart problem.) The adverse cardiovascular effects from Prozac, the one drug in this class of drugs out long enough to have somewhat of track record, are listed in the drug information sheet put out by the manufacturer. The “frequent” effects listed are hemorrhage and hypertension. The “infrequent” effects include very serious adverse effects: congestive heart failure, myocardial infarct, tachycardia, angina pectoris, arrhythmia, hypotension, migraine syncope and vascular headache. * September, 1997: Redux and Phen-Fen were pulled from the market. As we are being led to believe these drugs produce effects only in the brain, Dr. Pert accuses the medical profession of oversimplifying the action of these drugs and adds that “the public is being misinformed about the precision of these selective serotonin-uptake inhibitors.” It is critical that both physicians and patients be made aware of these adverse physical reactions. She points out that the medical profession not only oversimplifies the action of these drugs in the brain, but “ignores the body as if it exists merely to carry the head around!” And that, “these molecules of emotion regulate every aspect of our physiology.” The body plays a very significant role in how we feel and act the way we do. This fact can no longer be ignored. Serotonin and serotonin receptors exist throughout the body, as well as the brain, and every aspect of the body’s physiology is affected by these serotonergic medications. In fact approximately 90% of the body’s serotonin is produced in the intestinal tract. According to Dr. Michael Gershon of New York’s Columbia Presbyterian, this is the reason why Prozac produces so many gastrointestinal side effects. * March, 1998: Two new studies published. One that shows Prozac so strongly inhibits one particular serotonin receptor that this produces both obesity and seizures and the other discusses the blockage of muscle and neuronal nicotinic acetylcholine receptors indicating interactions between the serotonergic and cholinergic systems in the central nervous system. * April, 1998: Our next generation of guinea pigs – one month before a 15 year old on Prozac, Kip Kinkel, in Springfield OR killed his parents and two classmates the American Psychiatric Association and the American Academy of Pediatric Psychiatrists asked the FDA to consider the serotonergic antidepressants for use in children as young as two and drugs for anxiety, aggression and manic depression in babies only one month old! The use of Prozac among young children ages 6 – 12 has increased an alarming 400% from 1995 (51.000 new prescriptions) to 1996 (203,000 new prescriptions). WARNING: Children so often get coughs and colds, yet using a cough or cold medication with dextromethorphan could cause the serotonin syndrome, a very serious and potentially fatal adverse reaction and/or produce PCP reactions. Serotonin syndrome remains an often misdiagnosed or unrecognized fatal reaction due to the medical profession being so uninformed about this drug-induced disorder. Developing brains are far more vulnerable than adult brains and brain damage generally becomes more apparent after the brain is fully developed, rather than immediately. Increases in cortisol produce brain damage while medical research shows that one single 30mg dose of Prozac DOUBLES the level of cortisol. This drastic increase in cortisol causes a multitude of serious physical reactions including impairment of linear growth, as well as impairing the development and regeneration of the liver, kidneys, muscles, etc. In light of so many unspeakable tragedies, I have grown weary of all the silly philosophical discussions we have heard since Kramer’s LISTENING TO PROZAC came out. Patients are dying or having their health destroyed mentally as well as physically (when do we begin to discuss the very serious physical side effects associated with high levels of serotonin?). These patients and their families are frantically searching for answers while this research sits right under our noses and could easily be made available to them. The widespread use of Prozac and its clones is not a statement of either their safety or their effectiveness. 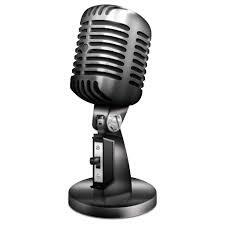 It is a statement about the effectiveness of an infinite marketing budget and incredible advertising campaign! These drugs have very serious physical side effects, as well as dangerous psychiatric side effects. To prevent further tragedy this medical research must be acknowledged and addressed in headline news without delay rather than remain buried in seldom read medical research documents as has been the case in the past with other mind- altering medications, once thought to be safe, which were subsequently prohibited by law, i.e. LSD, PCP, cocaine, etc. 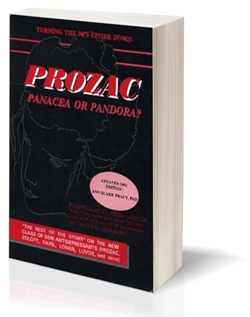 PRAISE FOR PROZAC: PANACEA OR PANDORA?